This Action type provides the same functionality as the Touch command line utility provided with many C++ tools. 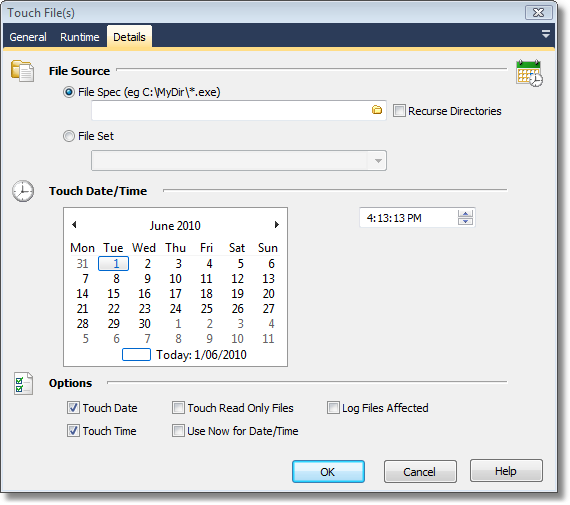 It allows you to set the last modified File Date and/or Time for a file or a set of files matching a filespec or contained in a fileset. property TouchReadOnly: WordBool;// by default, read only files will not be touched.